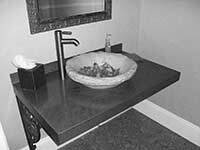 Custom Sizes available for non-workstation sinks as well as for other brands of sinks. 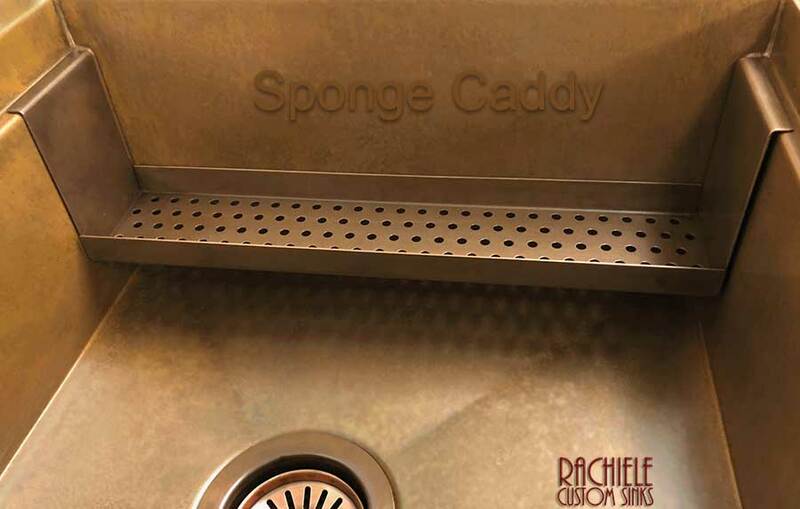 I can build sponge caddies to fit standard sinks. 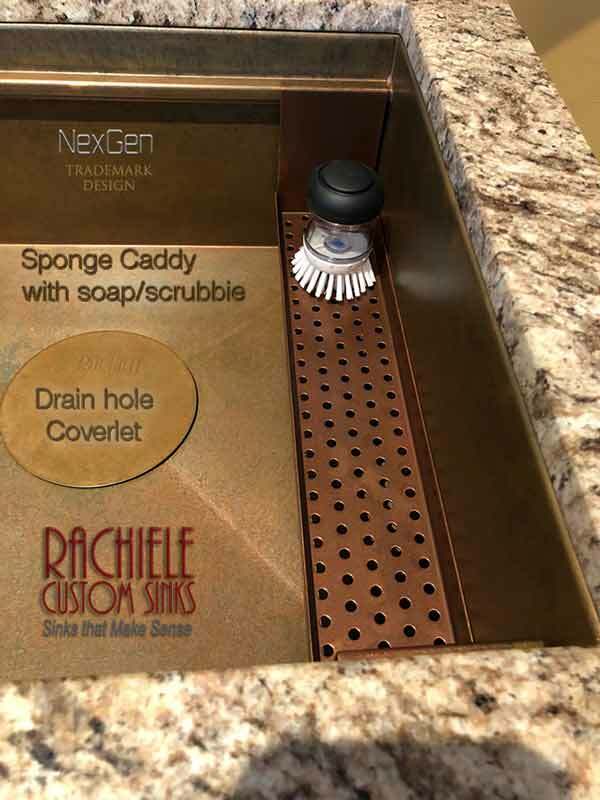 For example, I can build a sponge caddy for our apron front sink that is not a Signature Series sink. I need to know the thickness of your granite. 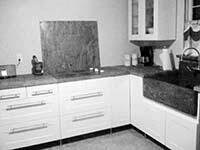 The sponge caddy will rest on the granite (at the back) and the apron in the front. I can also span just about any under mount sink. 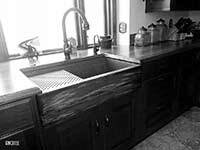 Any custom caddy will require you to email me a photo of your sink. We will discuss dimensions over the phone as well. You can order online. Your card is NEVER charged online. We can chat after you order and make price adjustments if necessary.